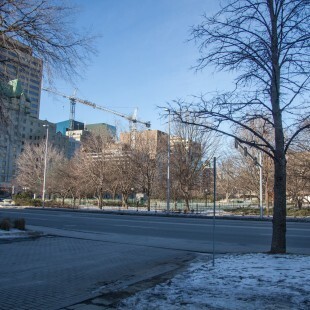 Apartments offering some density replaced by a boulevard and concrete. 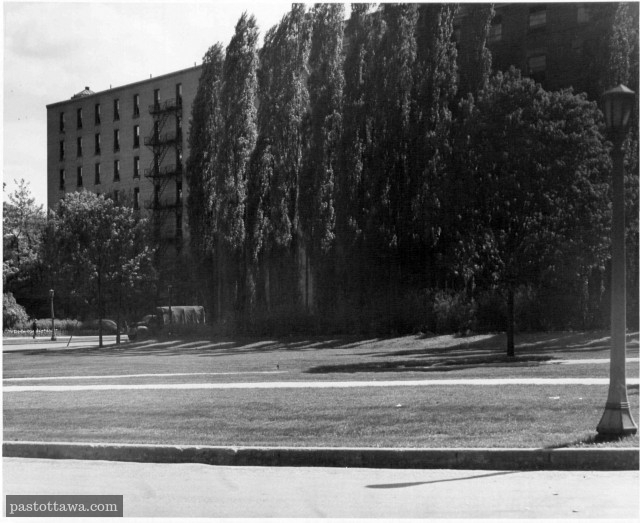 Bates Apartements, on the right-hand side on the photo, were sacrificed in order to connect both sides of the Rideau Canal. 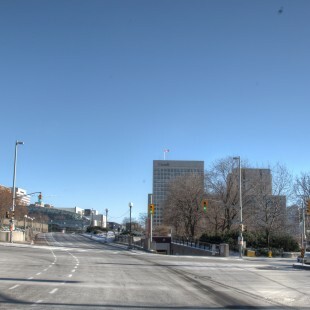 To increase car traffic in to core, Slater and Albert Streets were turned into one-way streets and united in triangular fashion to form the Mackenzie-King bridge. 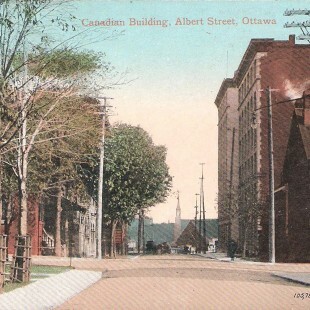 Jacques Gréber who was a proponent of low-density and decentralized federal employment centre did not cared about the Bates and Woods Apartments since they somewhat represented the opposite of what he envisioned for the city of Ottawa. 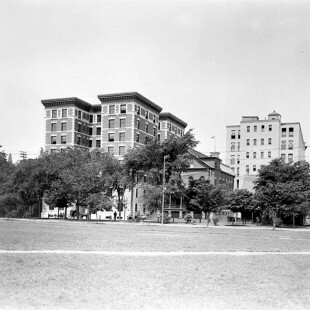 The Greber plan should be a dirty word in this town. 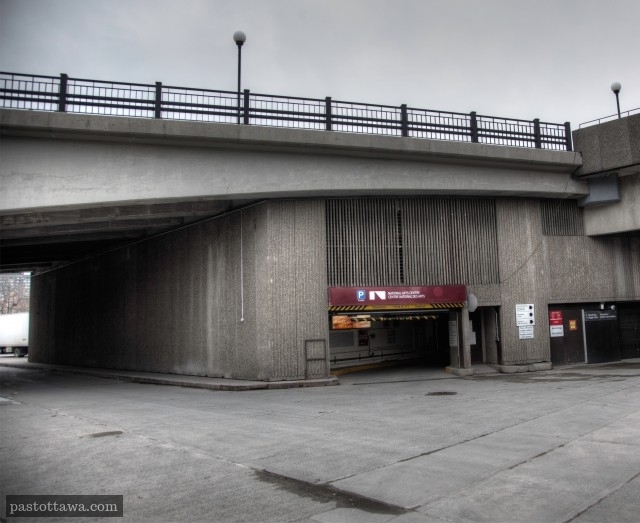 In the long run, its plan for the downtown core & surrounding areas has proven itself to be the most unfriendly for pedestrian but has managed to welcome more vehicles & buses then we could have ever imagined.